Ictíneo is a Spanish submarine name. Meaning “that looks like a fish”. Name of a wooden submersible that was built by the Spanish inventor Narciso Monturiol in the 19th century. This device was designed for spearfishing coral. 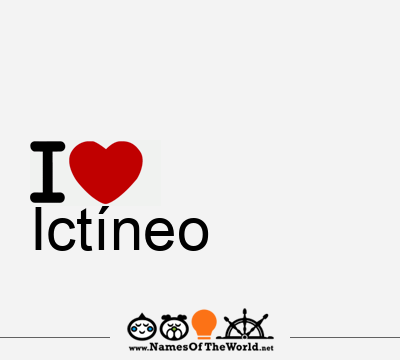 Download the image I love Ictíneo and share it in your social profiles, web o blog! Do you want an image of the name Ictíneo in arabic, chinese, gotic, etc. letters? Go to Picnames.com and create your own signature!